Ryan Gosling’s daughters believe dad is an astronaut after visiting him on the set of his new movie First Man. The actor portrays real-life spaceman Neil Armstrong in the Damien Chazelle movie, and his longtime partner Eva Mendes tells Entertainment Tonight that their kids now think daddy is out of this world. 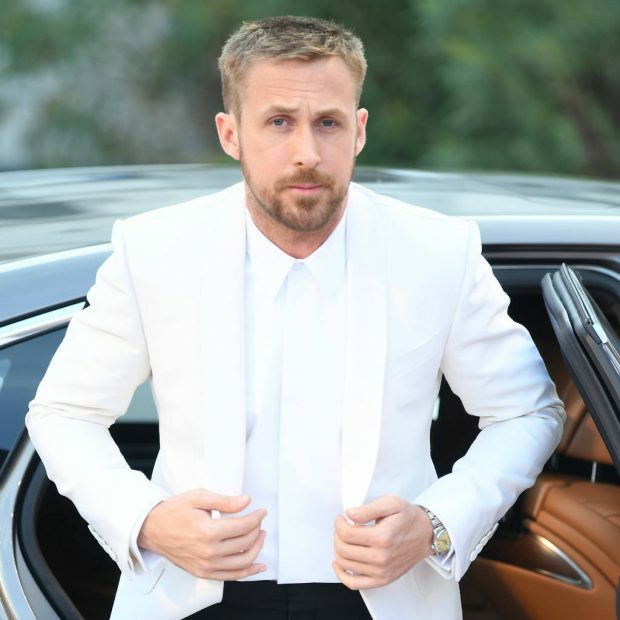 Ryan’s new movie, which reteams him with his La La Land director, is already winning huge acclaim after lighting up the Venice International Film Festival at the end of last month. The movie earned a three-minute standing ovation after its world premiere on the opening night of this year’s festivities. Chazelle and Gosling returned to the Italian city just two years after gracing the red carpet to debut their Oscar-winning movie musical La La Land, and the response from critics for their new project has been just as favorable. Variety’s Owen Gleiberman hails the film as “turbulently spectacular and enthralling”, while The Hollywood Reporter’s David Rooney praises Gosling for a “thoughtfully internalized performance”, and applauds Chazelle for delivering “emotional involvement, visceral tension” and suspense, as well as “stunning technical craft” in First Man. Meanwhile, back on earth, Gosling’s daughters, Esmerelda and Amada Lee, think mom is nothing special.